Head's anger as council now favours moving troubled Islamic school to site instead. Plans for a new £10 million school in Birmingham have been thrown into doubt after the city council withdrew support because it wants to relocate the troubled Al Hijrah school there instead. 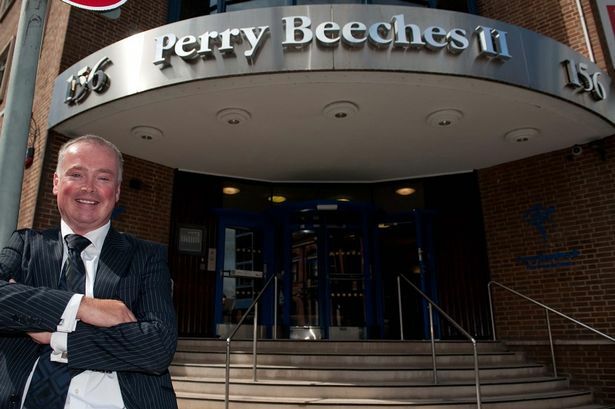 ‘Superhead’ Liam Nolan, who runs the chain of top-performing Perry Beeches schools, was set to open a fifth free school in September in Small Heath. The school for four-to-19-year-olds had been flooded with applications, with 263 children already signed up to start. But now letters leaked to the Birmingham Post have revealed Birmingham City Council wants to scupper the move, instead urging the Department for Education-owned site in Talbot Way be used as a new home for the Al Hijrah School. The Islamic school was placed in special measures by Ofsted last year and its entire governing body was sacked. Officials are searching for a new home after the Bordesley Green school’s rent was increased from a peppercorn rate of £1 a year, to an annual fee of £470,000. The rent is paid to Al Hijrah Trust, which owns the building and land, and comes from money the school receives from the council’s education budget. Al Hijrah School, meanwhile, has major structural issues – with a leaking roof and electrical faults estimated to need more than £500,000 in repairs. The council is currently probing the finances of the school, which is £900,000 in debt. In a letter to Mr Nolan, council strategic director for people, Peter Hay, said the authority had made it clear to the Department for Education that the site should go to Al Hijrah. It is understood the DfE paid £2 million for the site in December with cash it awarded to Perry Beeches Academy Trust to create Perry Beeches V.
The site, a disused office block, was due to undergo a full refurbishment this summer ahead of the school opening to its first intake of 300 pupils in September. However, on January 29 Mr Hay wrote to Mr Nolan, saying: “Since signposting Perry Beeches Academy Trust to the Small Heath location, the priority to find a new site for Al Hijrah has taken centre stage for the council. The letter is in sharp contrast to another sent by Mr Hay to Mr Nolan in December 2013, in which he wrote in support of Perry Beeches application to create Perry Beeches V.
In a scathing reply, Mr Nolan said he only chose the site because he had been asked to by the council. The furore comes after two nearby schools – Small Heath School and Sixth Form Centre and Oldknow Academy, which was embroiled in the Trojan Horse scandal – were both placed in special measures. Mr Nolan wrote: “Is it now not fortuitous, as we watch another Birmingham school fall into special measures, that Perry Beeches will open a fifth outstanding school in this area of most need? Coun Brigid Jones, cabinet member for children’s services, has written to education minister Lord Nash in a bid to stop Perry Beeches V.
She said the new school would create an “over-supply” of places and would “destabilise local education”. Coun Jones said: “This council cannot support the opening of Perry Beeches V at this time and at this location because it is not the best way for us to make the biggest difference to the children and families of east Birmingham. But a DfE spokesman said: “Free schools are a vital part of our plan for education.